Star Wars Celebration has begun! What better way to kickoff the event than an interview with the official DJ of the event, DJ Elliot! Elliot told us stories from past years, a backstage look at how the event is prepared, funny stories interacting with the likes of Carrie Fisher in years past, and a look ahead this this weekends event and what you can do to simply maximize your experience and enjoyment at the event! It is time to Celebrate Star Wars! The Resistance base is open to all, join us! Listen or watch below! ON THIS TRANSMISSION: John Hoey, James Baney, and Lacey Gilleran! The podcast is now watchable on video (CHECK IT OUT BELOW! ), and make sure you are subscribed to our YouTube channel which is FREE! If the audio version is your preferred method nothing has changed so no worries! You can always find us on Soundcloud, iTunes!, and Spotify! BE A PART OF THE SHOW! #AskTheResistance One of our favorite segments on the podcast is where we hear from you! Send us your questions for our segment Ask the Resistance and get featured on the podcast! If you would like to submit questions for the show you can tweet at us on our Twitter account @RBatSWNN, message us on the Cantina Forum in the questions and comments thread, or send an email to resistancebroadcast@gmail.com. Your support and comments are highly appreciated and you always make the show more fun! If messaging us on Twitter, make sure to include #AskTheResistance so we can access your questions directly every week. #ResistanceTransmissions We pitch a situation your way about Star Wars, you fire off your best tweet about it and the best ones get read on the show, make us spit out our blue milk, and we give you a shoutout to everyone across the galaxy! SUPPORT THE RESISTANCE! Our Patreon page is loaded! Click here to check out our FIVE tiers, see which one you like, and join the Resistance starting at just $2 a month! We already have a lot of exclusive and fun content on there and a lot more coming, like our full audio/video commentaries of The Phantom Menace and A New Hope, our weekly rumor review videos, Star Wars merch unboxing, comic reviews, Q & A videos, live video calls with the crew, and more! In addition to the exclusive daily content, patrons at the tier 2 level and up get to submit topics and vote on topics for us to talk about on the show! Special thanks to our Patreon Admirals Tampa Movie Guy, Bryan Pothier, Jason O'Donnell, Len Brown, Nathan Shank aka Tarkin, and Andrew Staley, and our Patreon Generals Adam Odle, Carmelo aka A Gray Jedi, Brian Shellito, Don Boring, Aaron Quinton, and Val Trichkov! BUY YOUR RESISTANCE BROADCAST MERCH! Check out our 40-plus designs and pick one you like on a shirt, coffee mug, tank top, sticker, hoodie, pillow, anything! Simply go to our Resistance Broadcast store on TeePublic! Our NEW George Lucas tribute shirt is now available, so join us as we THANK THE MAKER! Special thanks to Matt Pasterick for our theme song! 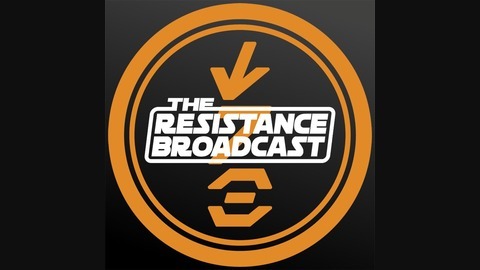 The Resistance Broadcast – Talking About That Leaked Episode IX Poster and Character Photos! 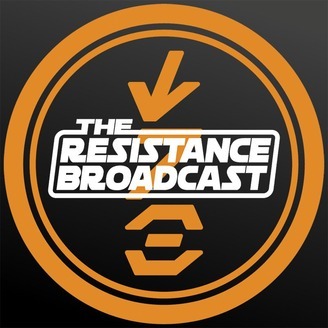 The Resistance Broadcast – Star Wars Resistance Season Recap and Look Ahead to Season 2!